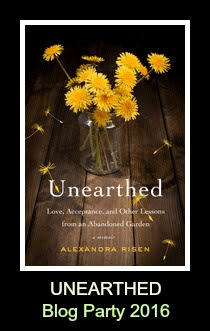 I was invited to participate in the #UnearthedParty by the authors of The Book Club Cook Book where bloggers get to review and feature recipes inspired by Alexandra Risen's memoir called "Unearthed: Love, Acceptance, and Other Lessons from an Abandoned Garden." This memoir features two things, the uncovering of her family's history and the uncovering of a secret garden in her newly bought house in which she interweaves the two very well, I thought. Each chapter has a featured plant that goes along with the story and a recipe for the plant at the end of the chapter, like tisane, seaweed, and sour cherries. Because I live in New Mexico and combined with a limited knowledge of plants and gardening, I found myself so intrigued learning about new plants and uses for them. And although I live in the desert, I'm very much a city girl who has been longing for her own vegetable garden and this memoir has made me want all the more to have a green thumb. 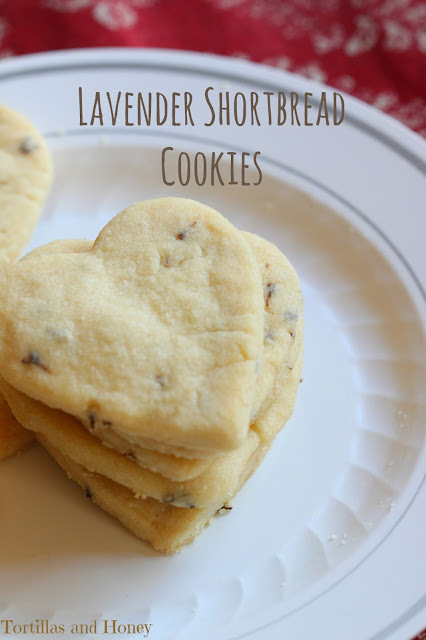 For this book, I decided to make a Lavender Shortbread Cookie recipe. 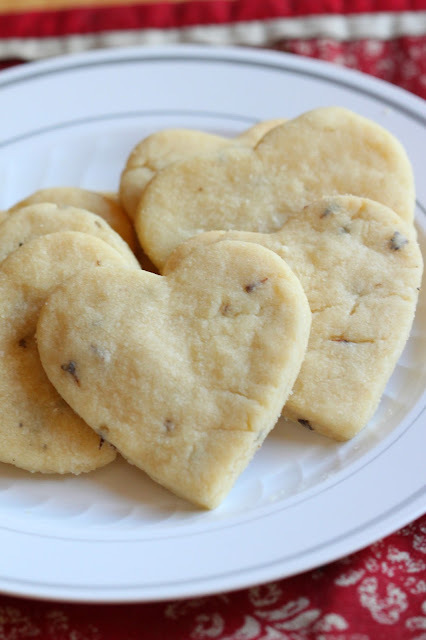 This recipe is similar to my Lavender Spritz Cookies, but it doesn't have baking powder and egg and it has more butter to flour ratio. This recipe was given to me several years ago in a cooking class through my work, which actually was my first introduction to culinary use of lavender. 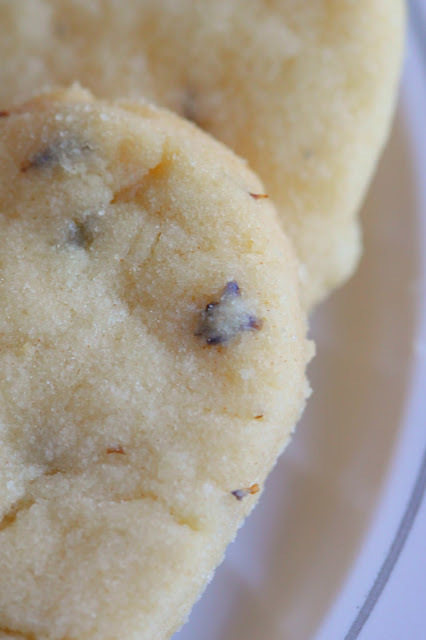 Many of the recipes in Alexandra's book contained a main ingredient that wasn't easily accessible here in New Mexico, so I decided to make a recipe with lavender which we have in abundance here! I absolutely love lavender and the gorgeous purple hues among all the varieties of lavender. Lavender offers beautiful pops of color in our desert landscape! Incorporating lavender lends a gentle aroma and taste, which isn't overwhelming. I love the scent of fresh lavender and I actually have two bundles of lavender drying in my office at work which my former boss brought me. If you do decide to pick your own lavender, please see some guidelines from the book before to make sure that you are being safe in what you select and eat. 1. Avoid areas where you know pesticides are used. Be careful of major roadsides, industrial areas, or areas where heavy chemical use may occur. 2. If you are prone to allergies, be careful. Have appropriate medical supplies with you. 3. You may want to test plants by rubbing on your skin before picking. If in doubt, don’t pick at all. 4. Learn to identify plants. Before handling any plants and using them in the recipes and crafts in this book, consult a reputable guide for safely identifying plants. 6. Pick only what you need, and protect the roots of plants. 7. If you are washing leaves, add a teaspoonful of white vinegar or lemon juice to a large bowl and let them soak a few minutes before rinsing. Pat dry with paper towels. 8. Some plant parts are edible, some are not. Sometimes the season affects what part of a plant is edible. 9. Some plants are poisonous. There are also some look-alike plants. It is important to be aware of these. For more information about the author, publisher, and the Book Club Cookbook, please visit below! 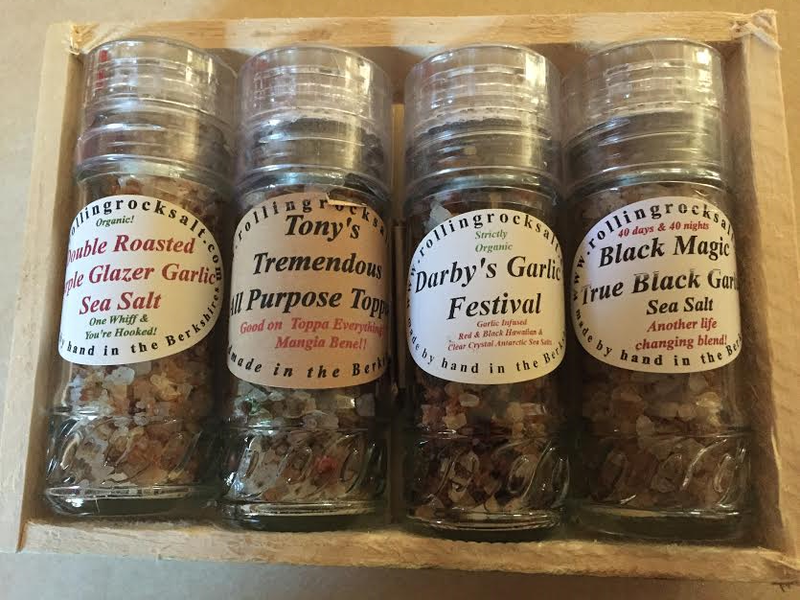 I also want to thank Rolling Rock Farm for sending me a variety of garlic salts to add to my salt collection! Apparently I collect BBQ sauce, honey, and salts and there ain't anything wrong with that! 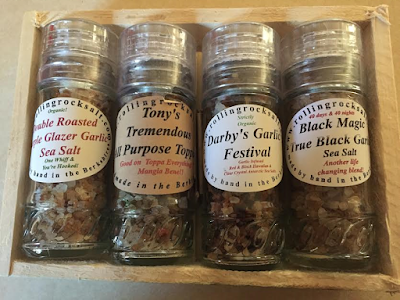 I've been using these as a secret little ingredient to add to my meals! I received a complimentary copy of this book to review, including the salt basket as a thank you for my honest review, with no further compensation . All opinions here are my own. Cream butter, sugar, vanilla, and lemon extract. 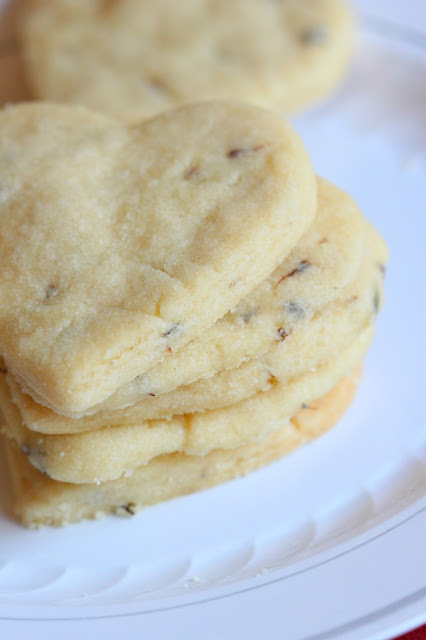 Add flour, lavender flowers, and salt. 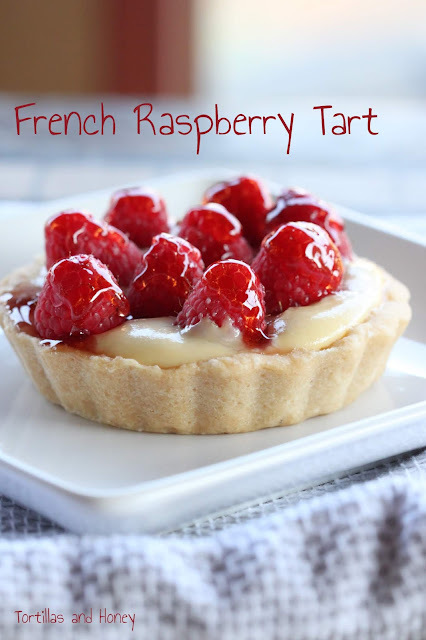 (If dough is sticky, add additional 1/4 cup of flour-- dough should be soft and not sticky.). On a lightly floured surface, roll out dough about 1/4 inch thick. Cut out shapes with cookie cutters and place on ungreased cookie sheet). Bake 10-15 minutes or until cookies are lightly browned around the edges. Place cookies on cooling rack. 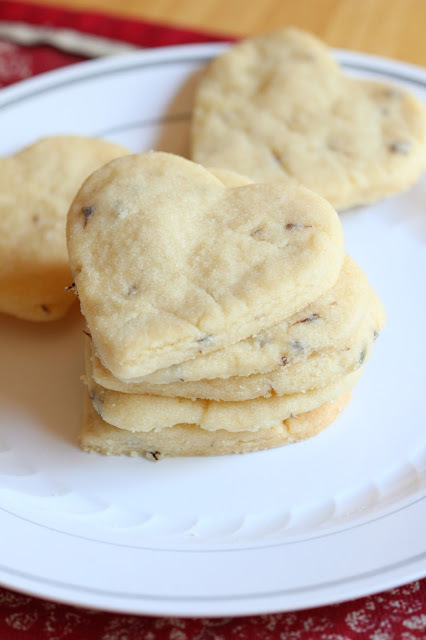 Makes 2-3 dozen cookies, depending on size. Super pretty, can't wait to try! Thank you Renee! Such an interesting way to use lavender. 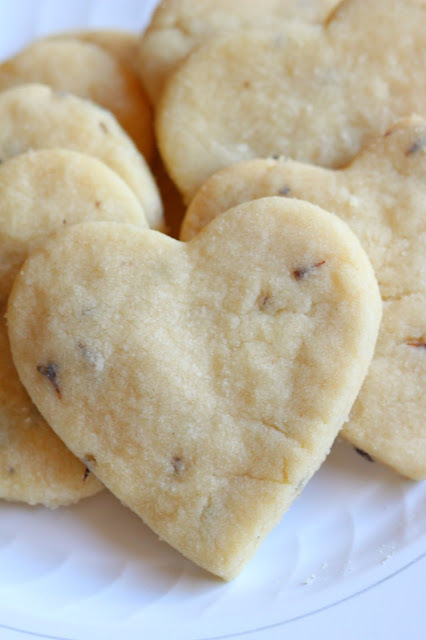 Your shortbread looks so perfect! What lovely cookies! I can smell the lavender pouring out of the computer screen.